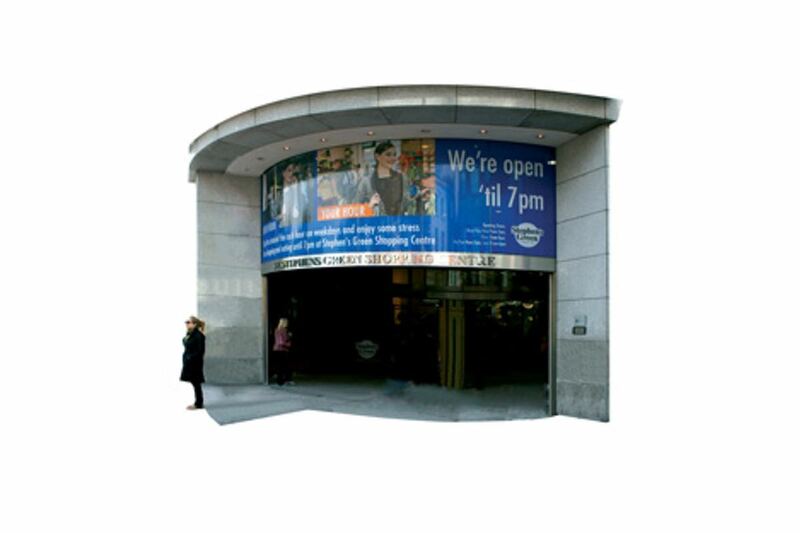 Dublin’s leading designer and manufacturer of shop signs and showroom signage for the Dublin market. 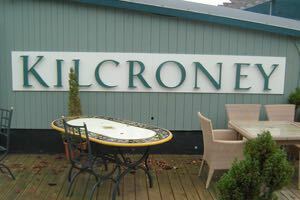 We work with many shop and car showrooms in the greater Dublin area. 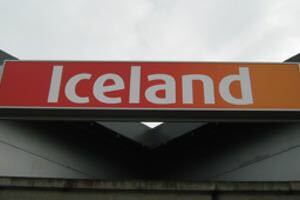 We would normally meet with a client to discuss their sign requirements. Including the corporate identity, impact, costs, target markets and key selling messages before we take photos and measurements. We will then design the new signage and super impose the new design onto the original photo of the old shop front. This gives our clients a good idea of what they are investing in. We will then make what ever changes required before manufacturing begins. We design and supply all types of signs including cut out lettering, folded diabond box signs, flat diabond signs (metal sheet sign), foamex shop signs (hard plastic signs), light box signs, etched plaques and projecting signs. We can discuss the best option for your shop or company over the phone or in person on site or in our studio. 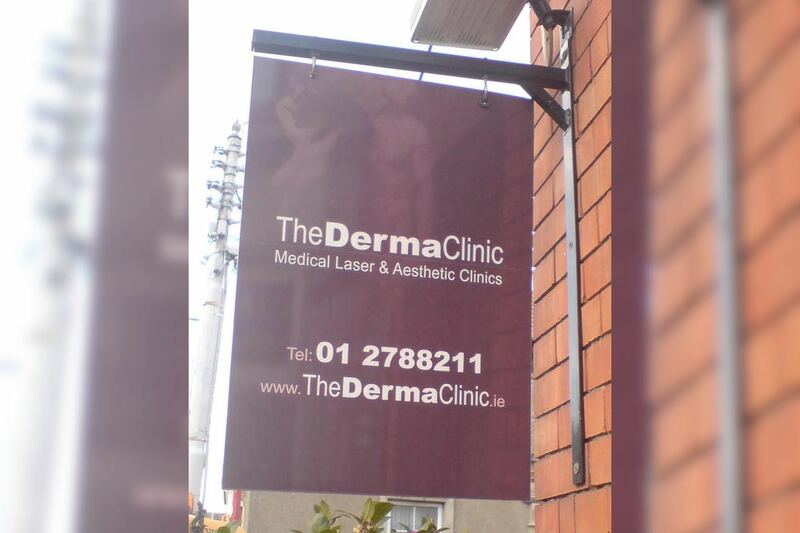 Client: The Derma Clinic, Walkinstown, Dublin 12. Shop signage and window graphics to promote the services of the Derma Clinic as well as shade the reception area from direct sunlight. Client: St Stephens Green Shopping Centre. Dublin City Centre. Very large vinyl signage at the doors of the shopping Centre. 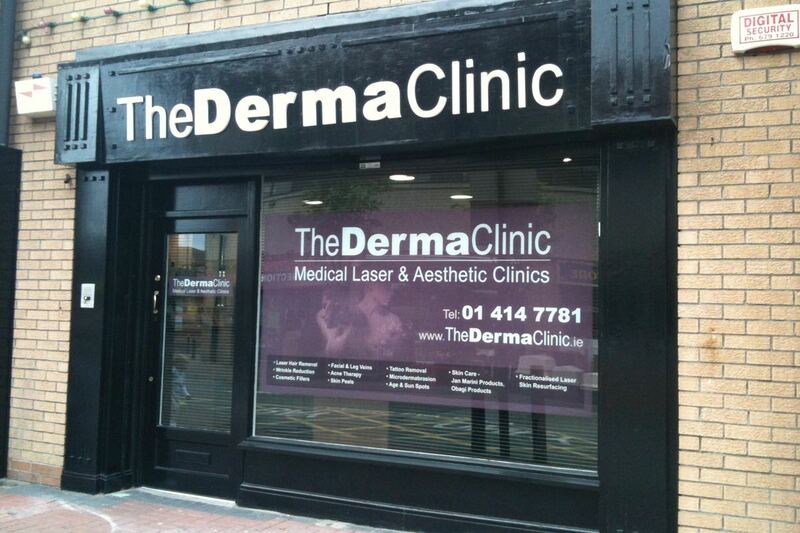 Client: The Derma Clinic, Blackrock, Dublin. Design of corporate identity and signage. Projecting sign to catch the eye of passing traffic. Diabond material with long lasting vinyl posters on both sided. These are a great way to promote your current offerings. The suction cups allow you to change the adverts your self keeping the window fresh and interesting. The signs are available in any size you require and in permanent full colour. 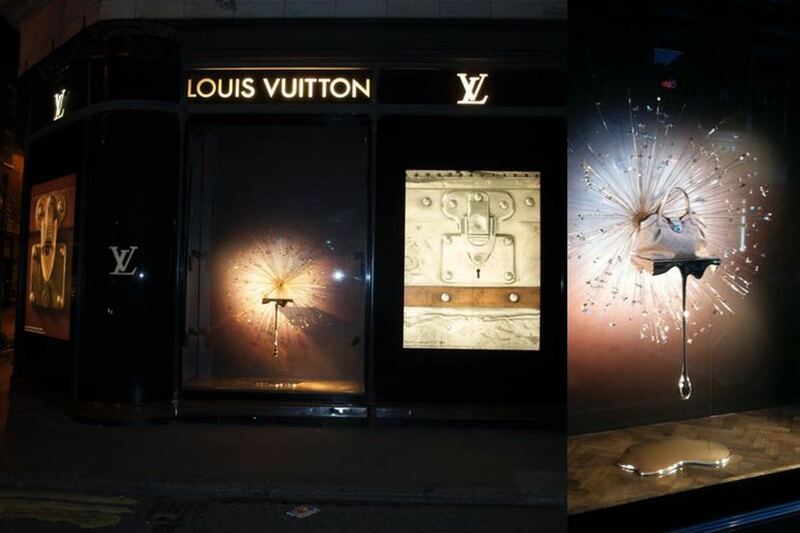 They are a very economical way to brighten up any shop window. 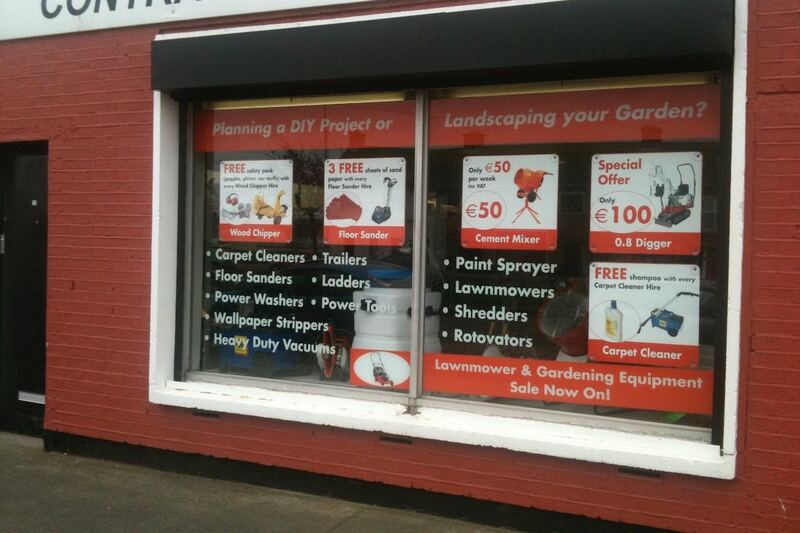 We also designed the window graphics as well as advised the client of the most effective design, message and imagery. Design of logo and sign. Cut out lettering on a diabond backing panel. 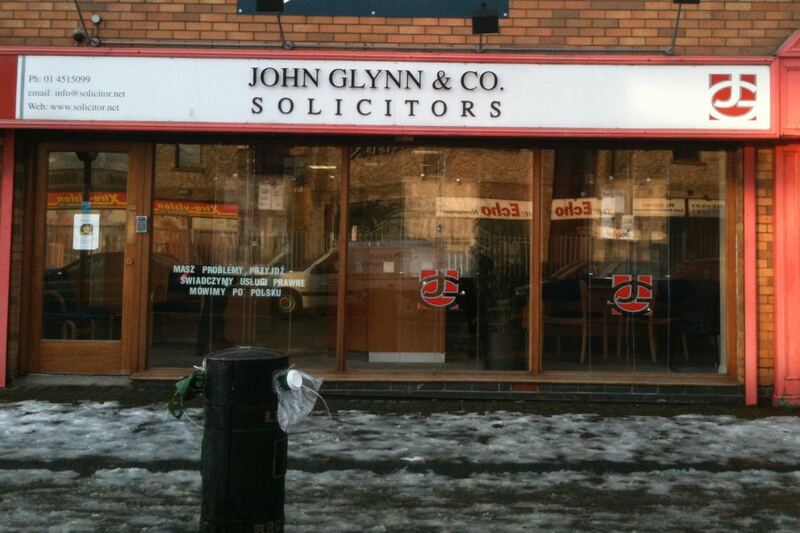 We also provided this client with vinyl graphics for the window. Cut out lettering in a stylised font and spray painted to pantone specific colour. Finished letters are raised off a back panel. Large hanging and wall mounted back lit light box signs. Slim light display with high quality LED technology, providing a superb lighting. The high quality guarantees 8-10years of life at approx. 12 hours daily consumption. Consumes approx. 80% less the energy of fluorescent tubes. Aluminium frame with 19mm profile. Supplied with transformer and hangers for mounting - can be used both in vertical and horizontal positions. Contact us for competitive quote on supply of printed lightbox panels for all sizes of lightbox. 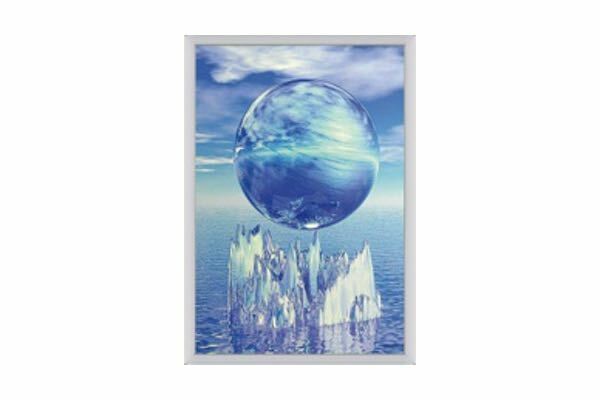 This is an attractively styled, poster, double-sided A Board (A Frame - Butcher Board); lightweight in design. 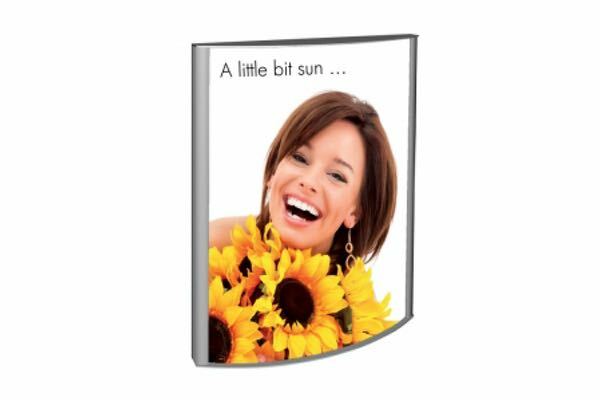 The 32mm profile snap frame, with anti glare PVC poster cover, allows easy poster change. It is a front-loading “snap open, snap shut” frame. A tough galvanised steel back panel and hinge locking arms ensures stability. 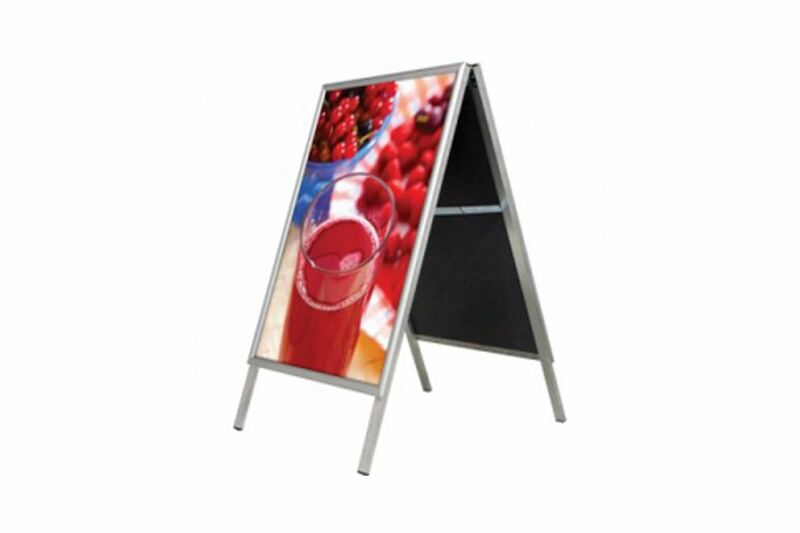 This A Board is ideally suited for sheltered areas or in store display. 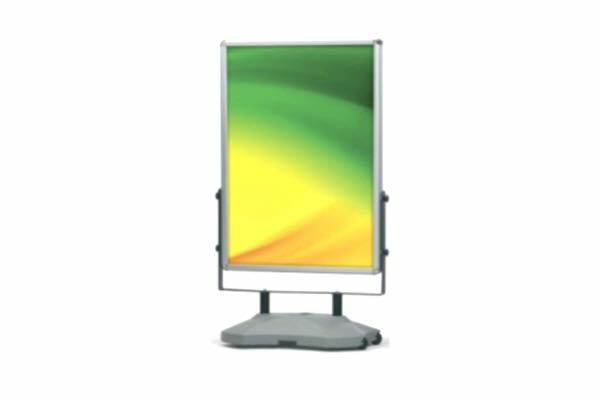 A cost-saving stylish product that is suitable for large format double-sided display solutions. 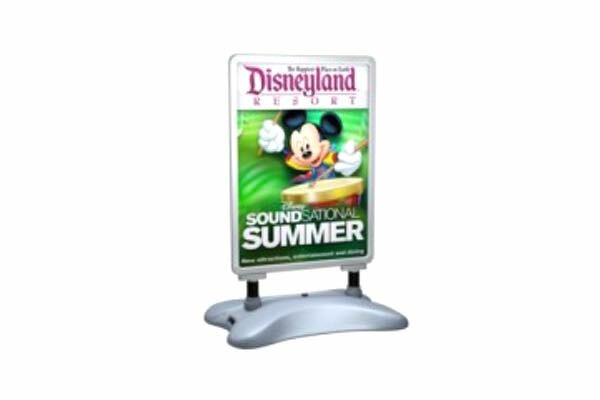 Easy to open snap frame which allows quick poster change includes the anti-reflex cover. Supplied with a plastic base to fill with water or sand for stability. The steel springs enable minor panel movement to further aid longevity. Rounded styling and low centre of gravity for added safety. Assembled in seconds no tools required. Ideal for outdoor use. The H2O is a popular choice for effective semi-permanent outdoor display. 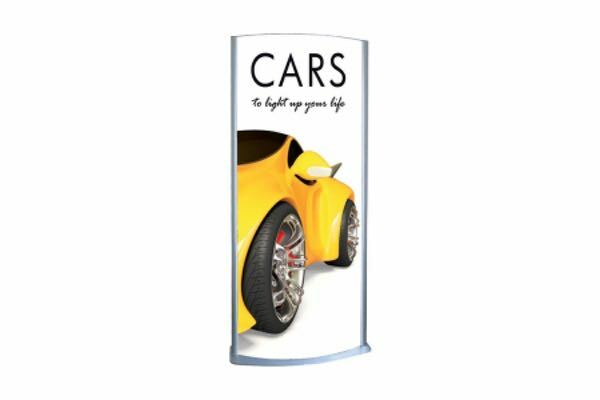 The heavy duty spring mounted poster holder provides a double-sided advertising space using the 32mm profile snapframe method to securely grip posters in place. Its heavy-duty base, which can be filled with water or sand, makes it ideal for forecourt locations. Available in A1 & A0. Full range of Poster 'Snap' frames always in stock for next day nationwide dispatch. Clear plastic protects the contents and prevents tampering. Front-loading ‘snap open, snap shut’ poster frames. Anti-glare poster cover sheets. Square and round corner options. Pre-drilled. Suitable for outdoor use. Individually boxed with 4 screws and wall plugs. 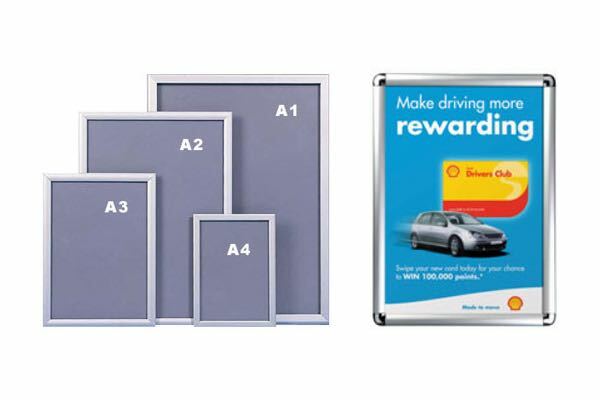 Delivery anywhere in Ireland starts at €14 + VAT for frames under 10kg. Larger orders will be quoted on application.